Even if you’re not a big reader of comics and graphic novels, there’s a good chance that you’re familiar with graphic novel memoirs. After all, these are the books that have won Pulitzers and other big awards, often get assigned in school, make city-wide reading program lists, and have formed the basis of a Tony-winning Broadway musical. I think that they’re also one of the more accessible types of comics out there. For those who might be curious about the format, but find the whole world of it – specialty shops, conventions, characters with decades of backstories (not to mention super powers) – a little bit overwhelming, graphic memoirs are approachable and easy to dive into. After all, they’re usually penned by ordinary people, living in a world that very much resembles our own. They portray places that we’ve been to, are set in time periods that we (or maybe our parents) lived through, and give accounts of events that we might remember. And, even when we can’t relate to the specific circumstances of the narrative, they evoke emotions and memories of our own experiences with first love, family drama, camp, traveling or well, whatever, just like all good stories do. Personally speaking, they’re some of my favorite reading. I love memoirs and I love graphic novels, so put them together and it’s just about perfect. Fortunately, there are tons of them out there, with more of them published each year. With that in mind, we asked the Free Library Comic Con committee members to recommend some graphic memoirs – all-time favorites or recent reads they’ve really enjoyed – and here’s what they shared. My favorite new graphic novel memoir is The Best We Could Do by Caldecott Honor medalist Thi Bui. The story chronicles the childhoods of her parents growing up in Vietnam before the war and their experiences as a family fleeing Vietnam, settling in the United States, and the new challenges and opportunities they faced. 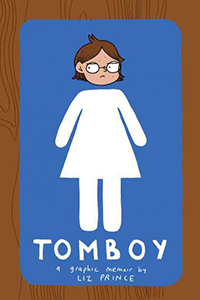 I have two to suggest: first there’s Tomboy: a Graphic Novel. Based on her adolescent years, Liz Prince shares her story of growing up a tomboy, figuring out what you are passionate about, and that there’s no right or wrong way to be a girl. Also, El Deafo by Cece Bell, who lost her hearing at a young age after a brief illness and began wearing a Phonic Ear hearing aid. It makes her feel different from her classmates and she becomes the target of bullying….until she turns into El Deafo, her confident secret superhero identity! In 2006, Alison Bechdel (of Bechdel Test fame) wrote Fun Home: A Family Tragicomic about her tumultuous relationship with her closeted gay father. It follows Alison through several periods of her life—as a rambunctious tomboy, a college student coming out, and as an adult processing her feelings about her father through drawing comics. Less than a decade later, it was adapted into a musical which won the 2015 Tony Award for Best Musical (before Hamilton made it cool) and was also the cause of several hours I spent crying... yesterday. Need a cathartic cry? Fun Home is your graphic memoir. 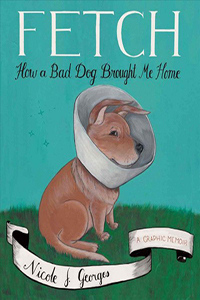 My most recent favorite is Fetch: How a Bad Dog Brought Me Home by Nicole Georges. At it’s most basic, it’s the story of a girl and her dog – Beija, a shar-pei/corgi mix with a host of behavioral problems. At the same time, it’s an account of growing up and finding yourself amidst some pretty trying circumstances and how some of the most long-term and sustaining relationships of our lives can be with the animals that we care for and love. You don’t even have to be a dog person to enjoy it (although it probably helps). 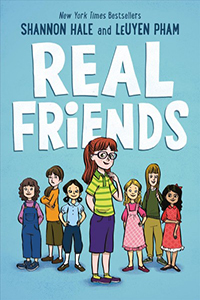 For younger audiences, I’d suggest Real Friends by Shannon Hale and LeUyen Pham. I’m a long-time fan of both Hale and Pham and their collaboration on this title - focusing on Hale’s elementary school years and the rocky waters of friendship and popularity - did not disappoint. For further ideas, check out this previous blog post, as well as this ever-expanding booklist in our catalog. And be sure to let us know in the comments what graphic novel memoirs you recommend. We hope to see all of you comic readers at the Free Library Comic Con on May 12 @ Parkway Central Library! 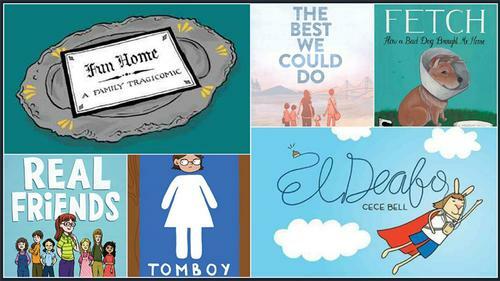 Check out these Graphic Memoir recommendations from Free Library staff!